It's right time to get on a turbo broom and fly to the moon. 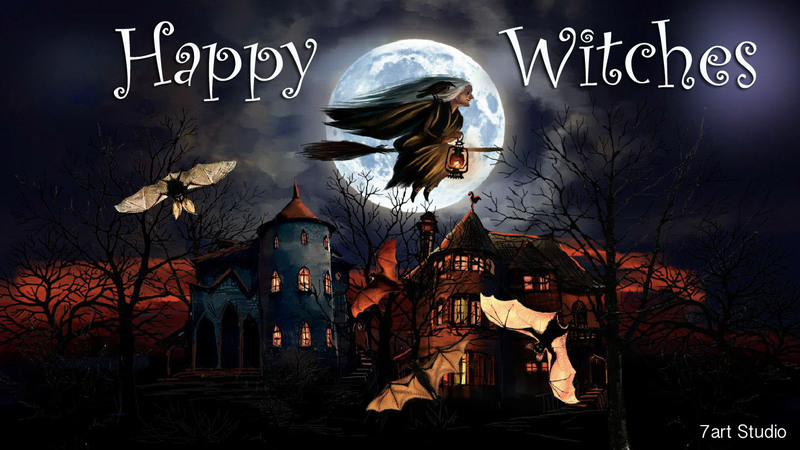 Happy Witches are waiting to entertain you and take you high in the sky! The party is coming and you will feel what the real Halloween is like. Few animated scenes with gothic castles, joyful bats, full moon and burning sun will rise your spirits. Full Moon party. Full Moon party. Full Moon party. Full Moon party. Full Moon party. Full Moon party. Full Moon party. Full Moon party. Full Moon party. Full Moon party. Full Moon party. Full Moon party.